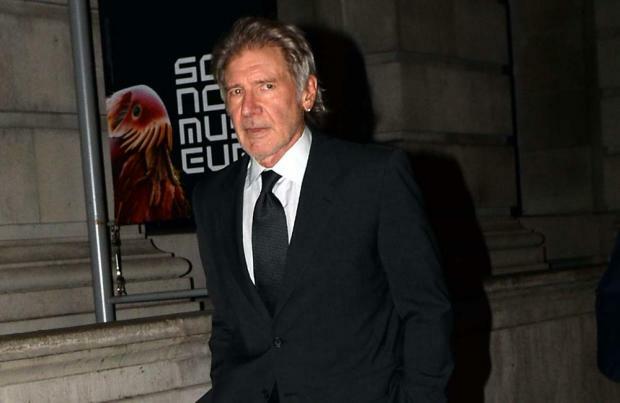 Harrison Ford is "doing great and working hard" after being involved in a plane crash last month. The 72-year-old 'Star Wars' actor suffered injuries in a small plane crash in Los Angeles at the beginning of March, but according to 'Star Wars: The Force Awakens' director JJ Abrams, Harrison is making a good recovery from the accident. The director said: "He's doing great and working hard. "I had respect for him all my life, but I never had more respect for him than when I saw how he landed that plane. "He's more of a hero than anyone he's played [on film]." Earlier this week, filmmakers released a new trailer for 'Star Wars: The Force Awakens', which shows Harrison's Han Solo alongside his sidekick Chewbacca. The trailer starts with a car speeding through a desolate landscape past the crashed spaceship, and a mysterious voiceover, thought to be Mark Hamill's Luke Skywalker. The unnamed character announces: "The force is strong in my family. My father has it. I have it. My sister has it. You have that power too." 'Star Wars: The Force Awakens' is expected to be released on December 18.